Correctly feeding the sow before and during lactation probably has more impact on the performance of the whole herd than any other aspect of the business. Condition is vital if she is to feed her litter with plenty of good quality milk and remain in perfect shape for the future. PIG-DEMAND (Ad-Lib with control) for Lactating sows ensures that voluntary intake is at it’s maximum - the sow can achieve her true genetic potential and eat to her appetite. Feed, rather than backfat, is converted to milk and the litter is well nourished so that it can match its genetic potential. Liquid feed palatability is very high and this stimulates greater intakes - sows want to eat liquid feed. Palatability is the key element in feeding and liquid feed is the most palatable. Liquid feed in the farrowing house not only raises feed intake, but the extra effects are felt across the whole farm. Since the litter is virtually guaranteed as much higher quality milk as it needs, litter growth rate is boosted and weaning weights are improved significantly. The impact of heavier pigs at weaning is much faster growth rates during the growing and finishing stages. The sow is in better condition at weaning and will therefore require less feed. She will hold to service more readily and breed sooner - so there will be less returns to service. At the next farrowing, her litter of pigs will be more vigorous at birth with fewer runts and a reduced number born dead. Mortality through to weaning is also reduced. Liquid feed systems remove the human element from the feeding operation - there is then no relationship between the staff and the feed. Staff no longer have to cart tonnes of feed around the unit, they can then supervise the sow and her litter. The farrowing environment is quieter and less stressful for all the stock, and this contentment brings about significant improvements in performance. An important cost-saving management feature of liquid feed is that it can only dispense feed when the trough is virtually empty - this guarantees no wastage. 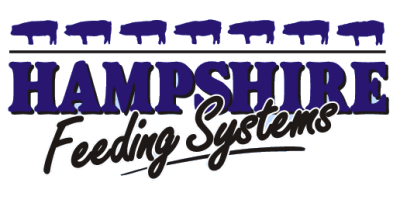 The automatic liquid feeding systems from Hampshire Feeding Systems (HFS) are extremely accurate in feeding to a curve and produces the type of management information that most farrowing house staff have never had before. It combines the control needed for modern management with the flexibility and freedom of allowing the sow to feed when she wants to. Since the feed is dispensed on sow's demand, the recorded information based on her voluntary intake is an invaluable management tool. At a glance the staff can see how each individual sow is performing without the need to disturb the environment. The ability to act immediately upon data is crucial to the efficient and profitable running of the pig enterprise. With liquid Feeding in the farrowing house, HFS has developed a feeding system that is at the heart of the modern, profitable pig business. This system pays dividends across the whole farm. No reviews were found for Feeding Farrowing Houses/Lactating Sows. Be the first to review!